Dee Zee DZ760082 Cargo Carrier by Dee Zee at Our DXC. MPN: DZ760082. Hurry! Limited time offer. Offer valid only while supplies last. Dee Zee Cargo Carrier - Constructed of reinforced steel tubing. Black powder coat to prevent rust. 500 lb. capacity. 60'' x 20'' x 2'' surface area. 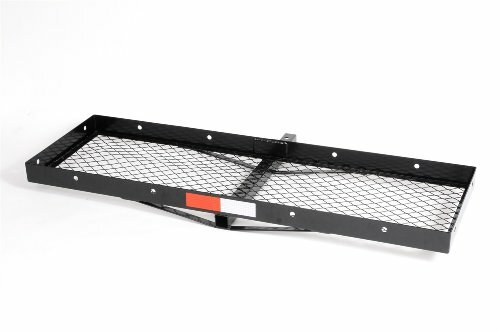 Dee Zee Cargo Carrier - Constructed of reinforced steel tubing. Black powder coat to prevent rust. 500 lb. capacity. 60" x 20" x 2" surface area. Bolt together design. Fits Class III (2") hitch receivers. L: 60" x W: 20" x H: 2"
If you have any questions about this product by Dee Zee, contact us by completing and submitting the form below. If you are looking for a specif part number, please include it with your message.